Finally, I have had these pictures for at least a month! 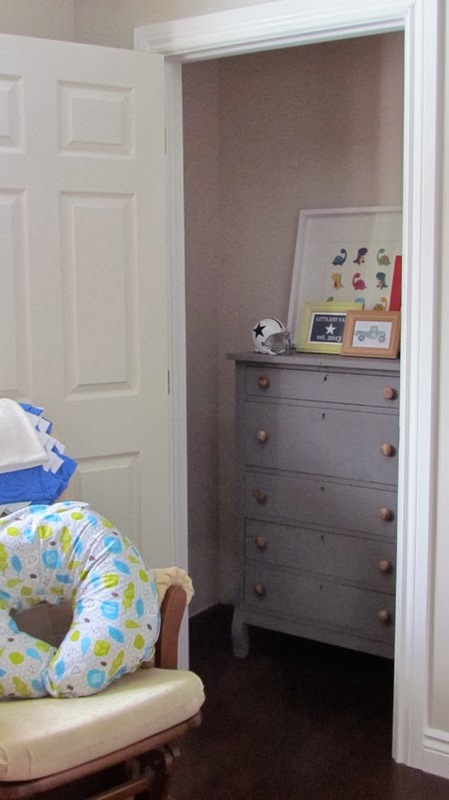 Here's what you've all been waiting for... the nursery reveal. 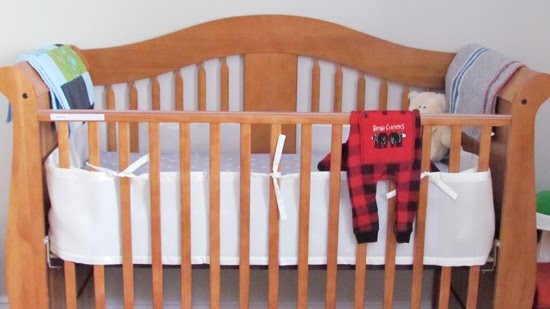 I still have a couple of "honey-do" items for the hubby - like a ladder to hang all of Parker's blankets on and a wall of "racks" to showcase the books we've been collecting and receiving from friends and family. Parker is so spoiled. Because his clothes are so tiny, I chose to put his dresser in the closet with all of his clothes. I think a closet with shelves, drawers and a spot to hang would have been a better idea... his wardrobe is bigger than mine. It's the little details and punches of colour that I love. 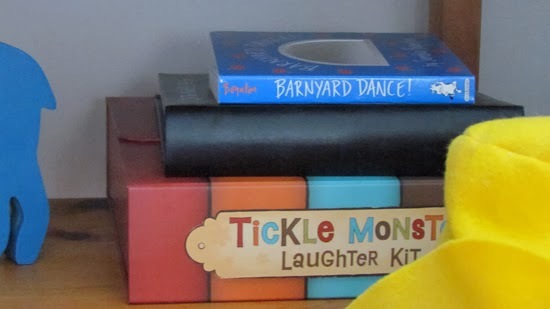 The tickle monster kit actually has wooly mitts and a story book - I can already hear the shrieks of laughter. 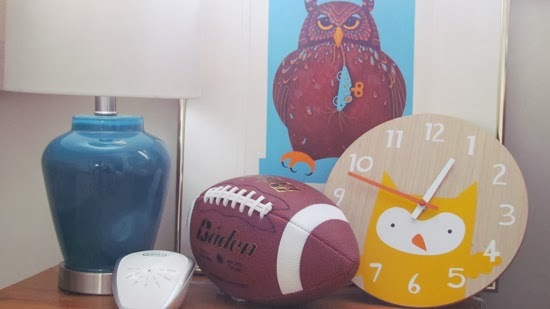 And the new football was a baby shower gift from my coworkers, all signed by them rather than a card. 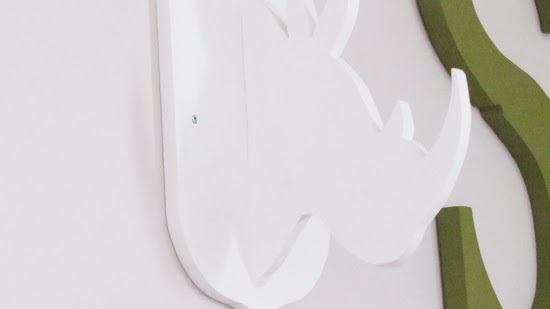 I'll be sharing the rhino details soon on the blog. Thank you hubby for your craftiness... If only we had time - I would love to sell these in all different shapes on the etsy shoppe. 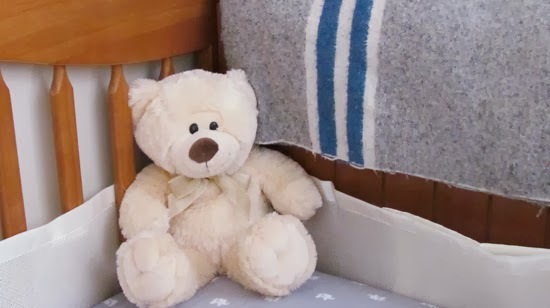 This bear looks so cute nestled in the corner. 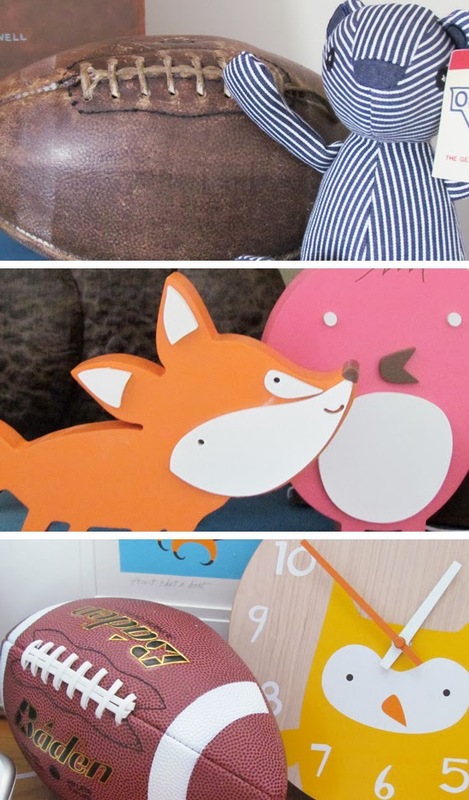 And of course, I put together all of the art that sits on the grey dresser - the dinosaurs were actually on lollipop sticks from his baby shower. I removed a few and made the large piece of art you see in the back. I love the old football. And of course the many other little animals that are found throughout. 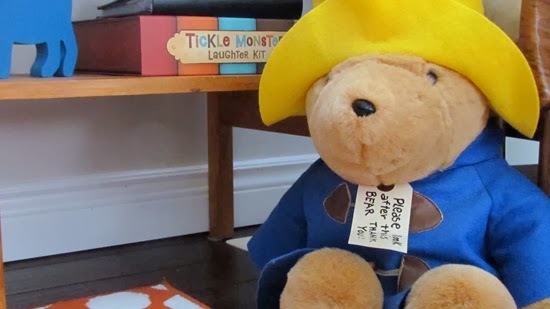 This Paddington Bear is very special to Parker - it was given to him from his Great Grandma! Well that's the nursery - thanks for stopping by. Up next on the house tour is the "formal" living room. It's almost complete - just need to have some photos printed and hung and we'll be done. 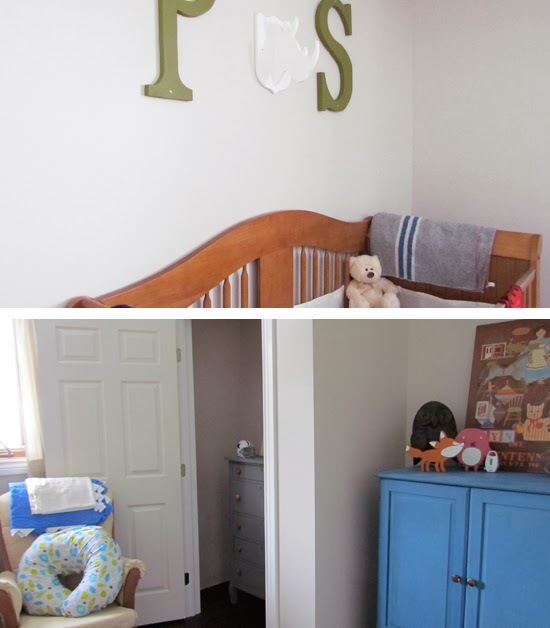 Oh and I will definitely put together a before and after for the nursery so you can see what was done. 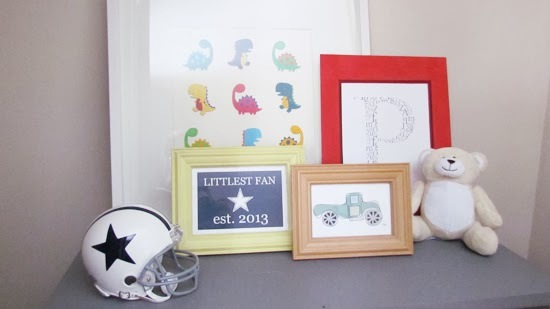 A Little Blog & Shop Renovation!